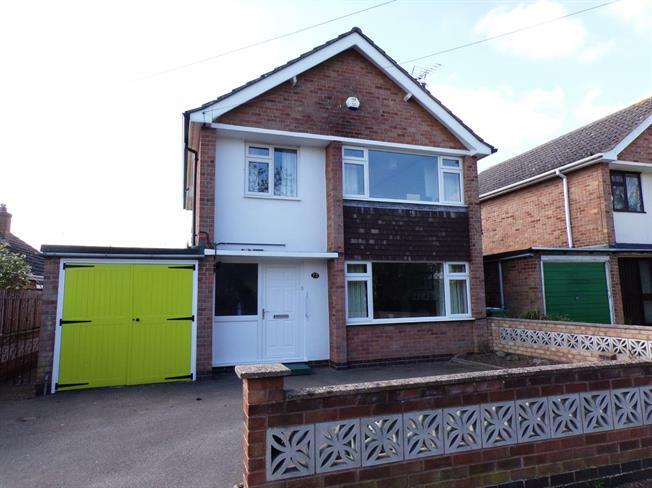 3 Bedroom Detached House For Sale in Leicester for Asking Price £280,000. A well presented and extended three bedroom detached property which has accommodation comprising entrance hall, spacious lounge, dining room, a modern fitted kitchen diner, utility room and ground floor WC, On the first floor are three bedrooms and family bathroom. Outside the property benefits from a driveway providing ample off road parking and leads to the integral storage room. To the rear of the house is a well maintained garden with patio and lawn which really is a sun trap. The garden has fenced boundaries and gated side access. This fantastic property is being offered for sale in excellent order throughout and would make the perfect family home. Early viewings are advised to avoid disappointment.